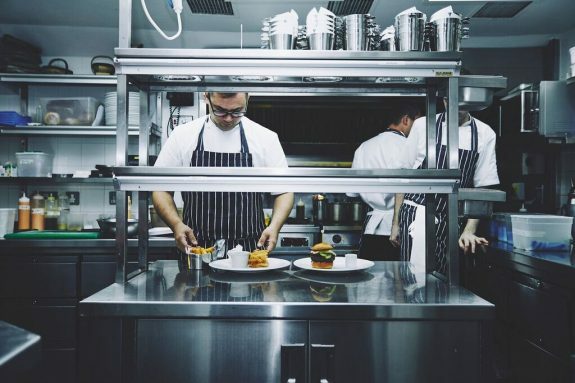 Our Head Chef Matt leads the very talented team in the kitchen and our menu contains a few hidden gems that can sometimes get overlooked because they’ve been on the menu for a while, so this month’s 5 mins of fame goes to…our delicious burgers. 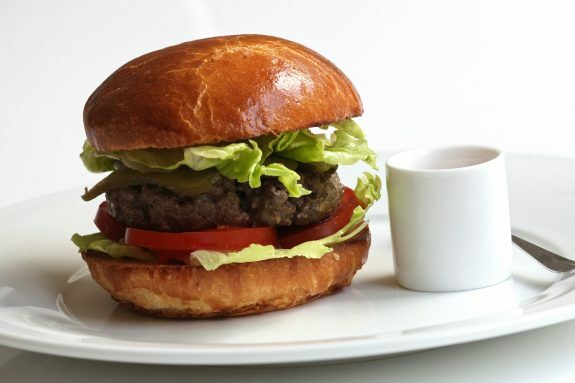 You may remember watching Heston Blumenthal showing how these burgers – also served the very same way at his Heathrow Terminal 2 restaurant The Perfectionists’ Café – are prepared. The minced strands are laid out flat, rolled into a log, chilled and then cut into slices. During the cooking the meat is flipped every 30 seconds to create a wonderful crust and even heat gradient. We like to serve these 100% Irish Hereford beef burgers pink but we’ll always take account of your particular preferences when you let us know. Have you browsed our MENU lately? The food that we serve at The Crown at Bray comes from a kitchen team that takes great pride in the quality of the ingredients, the method of cooking and the presentation of the dishes. This team now has a vacancy for a talented Junior Sous Chef.